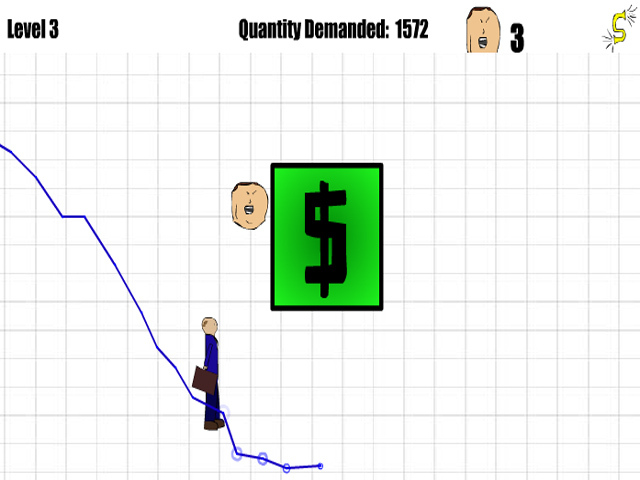 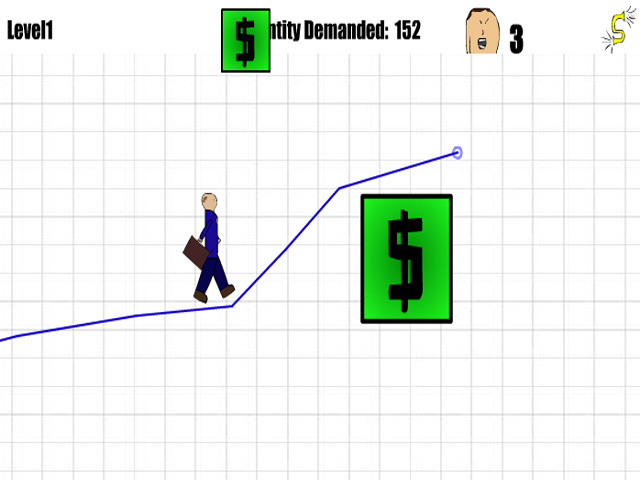 Join the economist's quest to gain quantity demand and avoid money by creating a demand curve in this interesting arcade game!Walk the line of the Economist!Join the economist's quest to gain quantity demand and avoid money by creating a demand curve in this interesting arcade game! 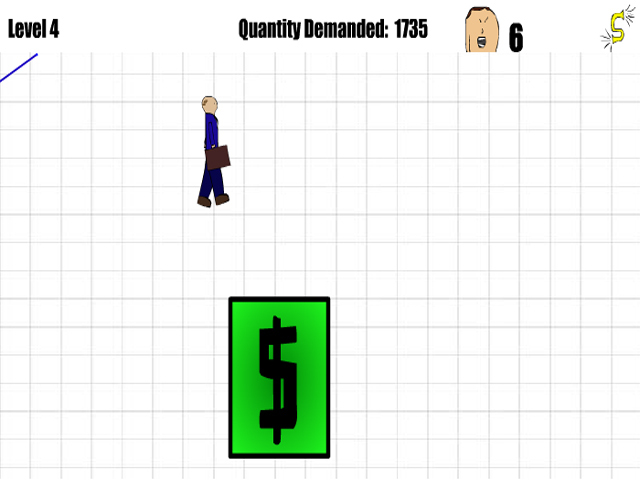 Collect helpful bonuses along the way and stock up on "Martin Missles" to blast through those pesky blocks of money. 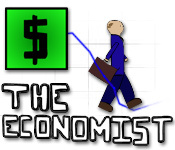 Gain a better understanding of what economics is not about in The Economist!